Angeline Suparto - Angeline Suparto Law Corporation - A boutique law firm specialising in corporate and commercial law in Singapore, with a particular focus in cross-border transactions, especially into the Indonesian market. Angeline Suparto graduated from the University of Hong Kong in 1982 with a Bachelor of Laws (2nd Upper Hons) degree. Angeline was awarded the Simon K.Y. Lee Medal in Law by ranking first in the Class of 1982 and the Baker & McKenzie Book Prize for obtaining a Distinction in Company Law. From 1982 to 1983, Angeline was a part-time demonstrator at the School of Law, University of Hong Kong. She obtained the Postgraduate Certificate in Law from the University of Hong Kong in 1983 and was admitted to the Supreme Court of Hong Kong as a Solicitor in March 1985. Subsequent years saw Angeline’s admittance as a Solicitor of the Supreme Court of England and Wales (November 1988), a Barrister & Solicitor of the Supreme Court of the Australian Capital Territory (December 1989) and an Advocate and Solicitor of the Singapore Bar (January 1991). The Singapore Academy of Law appointed her as a Commissioner for Oaths in 2001 and a Notary Public in 2006. 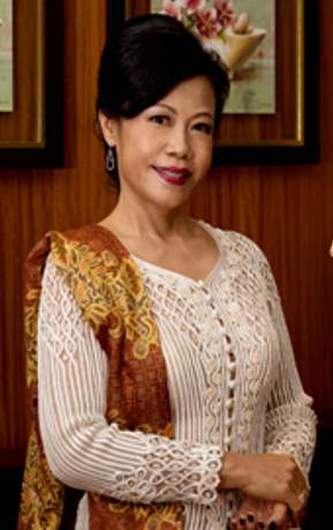 Angeline started practising law in 1985 and has extensive experience in advising clients on cross border transactions and in particular, the legal aspects of investments and doing business in Indonesia, legal due diligence exercises, joint ventures, mergers and acquisitions and shareholders' dispute resolution. Angeline is based in Singapore and works closely with the firm’s Jakarta associated office. She travels regularly to both Jakarta and Hong Kong on client matters. An Indonesian citizen born in Hong Kong, Angeline is well-versed and fluent in her command of English, Bahasa Indonesia, Mandarin and Cantonese. Angeline was invited to be one of the 10-member delegation group which was received by H.E. Megawati Soekarnoputri, President of the Republic of Indonesia, after the inaugural ceremony of the Indonesia Investment Year 2003 held at the Presidential Palace, Jakarta on 27 February 2003. Angeline is a Exco and Council Member of the Singapore Manufacturing Federation ("SMF"), the Chairman of the Public Relations and Corporate Communication Committee of SMF, the Deputy Chairman of the ASEAN Regional Business Group of the SMF, a member of the Steering Committee of Network Indonesia (for 2 terms), and a Founding Member of the Singapore Chamber of Commerce, Indonesia. She is also a member of the Hong Kong Singapore Business Association, the Singapore Chinese Chamber of Commerce and Industry, the French Chamber of Commerce in Singapore and the Franchising and Licensing Association (Singapore). In April 2017, Angeline won the RISING 50 Women Empowerment Award (Excellence Award) at an event organized by Her Times and supported by the Embassy of the Republic of Indonesia in Singapore to commemorate the golden jubilee of diplomatic relations between Singapore and Indonesia. Angeline has spoken regularly on topics of Indonesian law in seminars and forums organised by various government agencies, chambers of commerce and business associations in Singapore, Indonesia, China and Hong Kong. ​Apart from her legal work, Angeline was also a member of the Law Society’s bowling team and has won numerous bowling awards in various tournaments. She is also an accomplished pianist and enjoys reading and music in her spare time. Speaker at Realities of Doing Business in Indonesia organized by Federation of Manufacturing Malaysia, in Kuala Lumpur, Malaysia on 12 Dec 2017. Topic: “Indonesia Legal Pitfalls”, “Indonesia ML Registration”, “Indonesia Market Entry” and “Indonesia Investment Incentives”. Speaker at Successful Strategies for Expanding Into and Investing in the United States and Elsewhere around the Globe, organized by Singapore Manufacturing Federation in collaboration with Nixon Peabody LLP, in Singapore on 5 Oct 2017. Topic: "Special Focus on Indonesia"
Speaker at Batam Tech Recruitment Visit, organized by Glints, Economic Development Board Singapore, Quest Ventures and Citramas in Batam, Indonesia on 11 September 2017. Topic: "Setting up IT and Related Businesses in Batam"
Speaker at Singapore – Your Partner and Platform to ASEAN, Avoiding Legal Pitfalls in Indonesia, organized by Angeline Suparto Law Corporation and supported by IE Singapore & China Chamber of International Commerce on 16 May 2017. Topic: "Legal Insights into Indonesia"
Speaker at Lure of Indonesia's Largest Cities Greater Jakarta and Surabaya, organised by Building and Construction Authority in Singapore on 4 May 2017. Topic: "Setting up Business in Indonesia 2017-Key Legal Issues to Consider"
Speaker at In-Market iAdvisory Workshop: Food Service Opportunities in Indonesia, organised by International Enterprise Singapore in Jakarta on 3 May 2017. Topic: "Legal Aspects of Doing Business in Food Service Sector in Indonesia"
Speaker at a business mission to Milan, Italy, organised by the Singapore Business Federation under its AccessAsia@Singapore initiative on 11 July 2016. Topic “Legal Aspects of Doing Business in Indonesia”. Speaker at Singapore Business Mission to Surabaya from 25 May 2016 to 28 May 2016. Topic: “The Legal Aspects of Doing Business in Indonesia”. ​Seminar organised by International Enterprise Singapore on 18 April 2016. Topic: ‘Setting up a Manufacturing Presence in Indonesia – From A Legal Perspective’. Seminar organised by Fortress Intelligence on 23 March 2016. Topic: ‘Insights into Commercial Contracts and Legal Pitfalls to Avoid’. Seminar organised by SPRING Singapore on 28 September 2015. Topic: ‘The Legal Aspects of Doing Business in Indonesia’. Seminar organised by Hong Kong Economic & Trade Office Singapore on 18 September 2015. Topic: ‘The Legal Aspects of Doing Business in Indonesia’. Speaker for Legal Advice for Indonesia seminar organised by Franchising and Licensing Association (FLA) on 27 August 2015. Topic: ‘Legal Guidelines for setting up a company in Indonesia’. Speaker for Indonesia Business and Investment Forum organised by Singapore Manufacturing Federation (SMF), the Indonesia Embassy of Singapore and BKPM on 13 August 2015. Topic: ‘Doing Business in Indonesia’. Speaker for East Asia Investment Symposium organised by CCPIT Representative Office on 28 April 2015. Topic: ‘The Legal Aspects of Doing Business in Indonesia’. Seminar organised by International Enterprise (IE) Singapore on 6 March 2015. Topic: ‘Investing in Food Services & Food Manufacturing in Indonesia’. Seminar organised by Hong Trade Development Council (HKTDC) in Hong Kong on 4 February 2015. Topic: ‘Ways to Enter into the Indonesian Retail Market – The Legal Consideration’. Speaker for Commercial, Legal & Tax Aspects seminar in Singapore organised by Clariden Global on 31 July to 1 August 2014. Topic: ‘Commercial, Legal and Tax Aspects of Investing in Indonesia’. Speaker for the 3rd Executive Programme regarding Law and Legal System in Indonesia organised by IE Singapore International Business Fellowship March 10-15, 2014 in Jakarta Indonesia. Indonesia: Your Next Destination for Business Expansion organised by Singapore Manufacturing Federation on 21 January 2014. Topic: ‘The Legal ‘A-Z’ of Setting Up and Operating your Business in Indonesia’. Speaker for iAdvisory Indonesia Seminar organised by IE Singapore on 7 Nov 2013. Topic: ‘Market Setup, Franchising Regulations and JV Considerations for F&B and Retail in Indonesia’. Panelist for Panel Dialogue Discussion Session for Global Entrepolis Singapore 2013 organised by Singapore Business Foundation (SBF)-PICO on 30th October 2013. Topic: ‘Key Success Factors & Challenges of Doing Business in Indonesia; Ways and Means to Capitalize on Indonesia’s Growth Opportunities’. Speaker for Franchising & Licensing Asia (FLAsia) 2013 International Conference organised by Bizlink Exhibition and Franchising and Licensing Association (Singapore) on 4 October 2013. Topic: ‘Legal Aspects of Franchising in Indonesia: Risks and Opportunities’. 2013 CEO Breakfast Sharing organised by Singapore Chinese Chamber of Commerce & Industry in Singapore on 20 September 2013. Topic: ‘Insights into Doing Business in Indonesia’. UOB Hong Kong Symposium organised by UOB in Hong Kong on 18 September 2013. Topic: ‘Legal Aspects of Doing Business in Indonesia’. UOB Jakarta Symposium organised by UOB in Jakarta on 22 August 2013. Topic: ‘Legal Aspects of Investing in Real Estate in Indonesia’. Seminar organised by the Singapore Manufacturing Federation and BKPM in Singapore on 24 June 2013. Topic: ‘Legal Aspects of Doing Business in Indonesia’. Breakfast Talk organised by the Swedish Chamber of Commerce in Hong Kong on 31 May 2013. Topic: ‘Getting your Business Ready for Indonesia – the Whys and Hows from the Legal Perspective’. Conducted a training session for mid-level diplomats posted to Indonesia for the Ministry of Foreign Affairs, Indonesia, in April 2013. LifeStyle Expo in Jakarta Seminar organised by Hong Kong Trade Development Council on 15 & 16 March 2013 in Jakarta, Indonesia. Topic: ‘The Legal Aspect of Distributing Goods in Indonesia’. Moderator at ‘Indonesia Business Forum 2012: Economic Outlook and Potentials’ on 7 November 2012 in Hong Kong organised by Embassy of the Republic of Indonesia in Beijing and the Consulate General of the Republic of Indonesia in Guangzhou and Hong Kong. Conducted a training session for mid-level diplomats posted to Indonesia for the Ministry of Foreign Affairs, Indonesia, in October 2012. Indonesia Market Entry Strategies Seminar organised by Sellnomics on 24 October 2012 in Kuala Lumpur, Malaysia. Topic: ‘Legal Structures for Doing Business in Indonesia’. Seminar organised by Trade Expo Indonesia, Ministry of Trade, Embassy of the Republic of Indonesia, Kadin Indonesia, DP Bureau Pte Ltd and Singapore Indian Chamber of Commerce & Industry on 16 October 2012 in Jakarta. Topic: ‘Legal Aspects of Doing Business in Indonesia’. Seminar on ‘Investment Law in Indonesia’ on 12 September 2012 in Jakarta. Seminar on ‘Market Outlook & Entry Strategies in Indonesia’ at the Wisma FMM on 6 September 2012 in Jakarta, organised by the Federation of Malaysian Manufacturers. Lunch Networking Session on ‘Main Legal Issues to take note of when Doing Business in Indonesia’ on 4 September 2012 in Singapore, organised by O&L Consultancy Services Pte Ltd.
Seminar on ‘The Legal Aspects of Doing Business in Indonesia’ at the Germany-Singapore Business Forum on 7 July 2012 in Jakarta, organised by the Singapore Business Federation and SPRING Singapore. Briefing on ‘Legal Aspects of Market Entry and Partnerships in Indonesia: Risks & Opportunities’, in connection with SPRING’S Indonesia Mission April 2012 on 11 April 2012, organised by the SPRING Singapore. Workshop on Indonesia Market organised by the Hong Kong Trade Development Council in Hong Kong on 17 January 2012. Topic: ‘The Legal Aspects of Doing Business in Indonesia’. Angeline Suparto Law Corporation was appointed by the Hong Kong Trade Development Council as the Legal Advisor for the Lifestyle Expo in Jakarta from 15‑17 March 2012. Seminar on Doing Business in Indonesia organised by International Enterprise Singapore on 29 November 2011. Topic: ‘Market Entry into Indonesia: Overview of the Corporate Legal Structures and Set-Ups’. Seminar on ‘Indonesia Business Forum 2011 – Economic Outlook, Market and Investment Opportunities’ organised by the Indonesian Embassy, Beijing, Indonesian Consulate General in Guangzhou and Hong Kong on 28 September 2011 in Hong Kong: Resource person for legal aspects of investment and trade. Seminar on Business Opportunities in Indonesia – jointly organised by the Singapore Economic Development Board and the Singapore Welcome Centre For Corporates (SWCC)’s Inaugural Partners Conference and Roundtable Discussion on 21 September 2011. Topic: ‘The Legal Perspective and Case Studies’. Seminar on Doing Business in Indonesia organised by the Hong Kong Trade Development Council in Hong Kong on 6 July 2011. Topic: ‘Understanding the Legal Aspects and Business Culture’. Seminar on Indonesia Business Know-How organised by the Singapore Business Federation on 16 June 2011. Topic: ‘Legal Frameworks for Doing Business in Indonesia: Overview, Key Legal Issues & Case Studies’. Seminar on ‘Indonesia-China Trade, Tourism and Investment Promotion 2011’ organised by the Indonesian Embassy, Beijing, Indonesian Consulate General in Guangzhou and Hong Kong on 17 May 2011 in Xiamen, Peoples’ Republic of China: Resource person for legal aspects of investment and trade. Seminar on Doing Business in Indonesia organised by International Enterprise Singapore on 30 November 2010. Topic: ‘Doing Business in Indonesia: Legal Issues and Pitfalls’. Seminar on Indonesia: A Growing Market for Hong Kong organised by the Hong Kong Trade Development Council (HKTDC) on 30 September 2010 in Hong Kong. Topic: ‘Legal Framework for Doing Business with Indonesia’. Talk on ‘Doing Business in Indonesia for the Watch & Clock Industry’ organised by the Federation of Hong Kong Industries (FHKI) on 29 September 2010 in Hong Kong. Topic: ‘The Legal Aspects of Doing Business in Indonesia for the Watch & Clock Industry’. Indonesia Business 'Know-How' Legal & Tax Seminar: Engaging Indonesia's Mining & Natural Resources organised by the Singapore Business Federation together with Network Indonesia, Indonesia Investment Coordinating Board, Angeline Suparto Law Corporation and JEL Tax Advisory on 11 August 2010. Topic: ‘(1) Legal Framework for Doing Business with Indonesia and (2) Engaging Indonesia's Mining Sector: Key Legal Issues and Case Studies’. Indonesia Now: Business Opportunities and Success Strategies Seminar organised by Enterprise One Business Information Services on 20 May 2010. Topic: ‘Legal Framework for doing Business in Indonesia’. Indonesia Business Seminar – jointly organised by ASME, Network Indonesia, BKPM together with Angeline Suparto Law Corporation on 11 March 2010. Topic: ‘The Legal ‘A to Z’ of Setting up and Operating your Business in Indonesia’. South East Asia Event Seminar organised by International Enterprise Singapore on 29 January 2010. Topic: ‘Legal Aspects of Retailing in Indonesia’. I-Advisory Seminar Series on Doing Business in Indonesia 2009: A Legal Update on Setting Up and Doing Business in Indonesia organised by International Enterprise Singapore on 25 November 2009. Indonesian Market ‘Know-How’ Legal Workshop: Service Sector Focus in Trading, Distribution, Logistics, Retail and F&B jointly organised by the Singapore Business Federation, Network Indonesia and Angeline Suparto Law Corporation on 14 October 2009. Indonesian Market ‘Know-How’ Legal Workshop jointly organised by the Singapore Business Federation, Network Indonesia and Angeline Suparto Law Corporation on 9 September 2009. Topic: ‘The legal ‘A to Z’ of Setting up and Operating your Business in Indonesia’. Guest Panelist for Business Forum on ‘Looking Beyond Jakarta: Doing Business in Regional Indonesia’ jointly organised by Network Indonesia and Singapore Business Federation on 16 June 2009. Property Developments and Investments Indonesia Seminar organised by Asia Business Forum (Singapore) Pte Ltd on 22 and 23 September 2008. Topic: ‘The Regulatory Framework and Legal Issues in Investing or Managing Real Estate Assets in Indonesia’. Indonesia Projects Briefing and Investment Facilitation Forum organised by the Singapore Business Federation on 17 September 2008. Topic: ‘Regulatory and Legal Framework Governing Trade & Investment in Indonesia’. Business Seminar on Potential Agri-Trade and Investment Opportunities in Indonesia jointly organised by the Agri-Food & Veterinary Authority of Singapore (AVA) and the Embassy of the Republic of Indonesia on 4 June 2008. Topic: ‘Regulatory & Legal Framework Governing Agri-Trade and Investment in Indonesia’. Indonesia Investment Summit organised by the Consulate General of Republic of Indonesia in Hong Kong, in conjunction with the Hong Kong General Chamber of Commerce on 29 April 2008. Topic: ‘Regulatory & Legal Framework Governing Trade & Investment in Indonesia’. Business Opportunities and the New Indonesian Investment Law Seminar organised by the Singapore Business Federation on 24 January 2008. Topic: ‘Regulatory & Legal Framework Governing Trade & Investment in Indonesia’. Seminar organised by the Jakarta Investment Board on 31 July 2007 in Hong Kong; on 30 August 2007 in Singapore; and on 11 September 2007 in Kuala Lumpur, Malaysia. Topic: ‘The Legal and Regulatory Framework for Investment in Jakarta, Indonesia’. Business Opportunities in Indonesia Seminar organised by International Enterprise Singapore on 30 May 2007. Topic: ‘Insights to Business Culture in Indonesia’. Indonesia: Market Outlook and Entry Strategies Seminar organised by LexisNexis on 8 May 2007 in Kuala Lumpur, Malaysia; and on 10 May 2007 in Singapore. Topic: ‘The Legal and Regulatory Framework for Investment in Indonesia’. Understanding Indonesia: Opportunities for Healthcare Products Sector Seminar organised by International Enterprise Singapore on 10 April 2007. Topic: ‘The Legal Aspects of Distributing Healthcare Products in Indonesia’. Seminar organised by the Singapore Manufacturers Federation on 5 May 2006. Topic: ‘Investing in Indonesia: A Legal Update 2006’. Business Opportunities in Indonesia Seminar organised by Key Media Pte Ltd on 20 April 2006. Topic: ‘The Regulatory Framework for Setting Up and Conducting Business by Foreign Investors in Indonesia’. Conference on Doing Business in Indonesia organised by Key Media Pte Ltd on 28 June 2005. Topic: ‘An Insight to the Legal Framework of Foreign Investment in Indonesia. Seminar organised by the Singapore Manufacturers Federation on 21 December 2004. Topic: ‘Indonesia: The New Challenges: A 2004 Legal Update – Important Legal Issues for the Foreign Investor’. Indonesian Business Seminar on Getting Back to Business organised by Asia Capital: Events, Information & Alliances on 6 October 2004. Topic: ‘A 2004 Legal Update – Important Legal Issues for the Foreign Investors’. Seminar on Retail Opportunities in Indonesia organised by International Enterprise Singapore and Network Indonesia on 1 October 2004. Topic: ‘Entering the Indonesian Retail Market: The Legal Considerations’. Seminar on Focus Indonesia entitled ‘A 2003 Legal Update: Important Legal Issues for the Foreign Investors’ on 5 November 2003 organised by Singapore Manufacturers Federation. Seminar and Networking Session entitled ‘Structuring for Increased Profitability: Invest in Indonesia: A 2003 Legal Update – Important Legal Issues for the Foreign Investor’ organised by Mossack Foncesa & Co (Singapore) Pte Ltd on 13 and 14 October 2003. A Seminar entitled ‘Indonesia’s Automotive Industry: Seizing the Opportunities – Bringing Singapore Companies into Global Automotive Arena’ organised by International Enterprise Singapore and Network Indonesia on 3 October 2003. Topic: ‘Legal Aspects of Investing and Doing Business in Indonesia’. Speaker at the official launch of ‘Network Investment Indonesia’ on 20 May 2003 in Jakarta. Guest Panelist in Panel Discussion for Seminar on Indonesia. Topic: ‘Rebuilding Investor Confidence’ on 8 January 2003. Executive Meeting 2002 on ‘Latest Updates: Foreign Investment Policy in Batam’ organised by the Batam Investment Development Authority on 26 June 2002 in Kuala Lumpur, Malaysia. Seminar on ‘Invest in Indonesia: A 2002 Legal Update’ organised by the Singapore Confederation of Industries on 13 June 2002. Executive Meeting 2002 on ‘Latest Updates: Foreign Investment Policy in Batam’ organised by the Batam Investment Development Authority on 1 March 2002. Forum on ‘Business Matching and Investment Opportunity Campaign in Hong Kong’ organised by the Indonesian Consulate General, Hong Kong on 5 November 2001. Forum entitled ‘Indonesia Today: Business Opportunities under the new Government’ jointly organised by the Singapore Polytechnic Graduates’ Guild and the Indonesian Business Association of Singapore in September 2001. Topic: ‘The New Indonesia – Important Legal Issues For the Foreign Investors’. Business Forum organised by the Confederation of Asia Pacific Chambers of Commerce and Industry and the Indonesian KADIN on 15 May 2001 in Batam. Indonesia Business Opportunities Conference organised by the Singapore Confederation of Industries on 3 May 2001. Topic: ‘Invest in Indonesia – Important Legal Considerations for the Foreign Investor’. Seminar jointly organised by Messrs Colin Ng & Partners and the Nanyang Technological University of Singapore on 5 May 2000. Topic: ‘Indonesia 2000: Critical Legal Issues for Foreign Investors’. IBRA Business Forum jointly organised by Messrs Colin Ng & Partners and the Singapore Chinese Chamber of Commerce (supported by the Indonesian Embassy) on 28 March 2000. Topic: ‘Important Legal Issues to Consider when acquiring Assets From IBRA’. Seminar organised by the Singapore Confederation of Industries on 26 January 2000. Topic: ‘Important Legal Considerations for the Foreign Investor’. Investment and Trade Seminar Exposition jointly organised by the Batam Industrial Development Authority (BIDA), the Riau Provincial Government, the Municipal Government of Batam and the Batam Tourist Promotion Board on 18 January 2000 in Batam. Topic: ‘Invest in Indonesia – The Latest Legal Framework for Investment’. TDB International Day 2000 organised by the Singapore Trade Development Board on 13 January 2000. Topic: ‘The Garuda Takes Off – Indonesia Towards Recovery’. Seminar entitled ‘Re-awakening: Indonesia’s New Regime and Emerging Opportunities for Business; Special Focus: Riau Province’ organised by the Singapore Chinese Chamber of Commerce & Industry on 16 December 1999. IBAS 98th Business Luncheon organised by the Indonesian Business Association of Singapore on 19 November 1999. Topic: ‘Invest in Indonesia: How to do it from the Legal Perspective’. Indonesia Business Opportunities Conference organised by the Singapore Trade Development Board on 24 August 1999. Topic: ‘What You need to know about Indonesian Business Laws and Regulations’. Business Seminar in conjunction with a Sales Presentation organised by the Jakabeka Industrial Estate of Indonesia on 6 November 1997. Topic: ‘Foreign Investment in Indonesia – The Current Regulatory Framework’. TDB International Day 2000 organised by the Singapore Trade Development Board on 13 January 2000. Topic: ‘The Garuda Take​ Off – Indonesia Towards Recovery’. Business Seminar in conjunction with the official opening of the Singapore Trade Development Board’s Jakarta Office on 28 August 1997. Topic: ‘A General Legal Overview of Setting Up a Business Presence by Foreign Investors in Indonesia’. Property Seminar in conjunction with the Singapore Exposition in Hong Kong on 20 and 21 July 1996. Topic: ‘Property Investment Opportunity and the Latest Tax Legislation in Singapore’. IBAS 88th Business Luncheon jointly organised by the Indonesian Business Association of Singapore and the Japanese Chamber of Commerce & Industry on 28 May 1996. Topic: ‘Foreign Investment in Indonesia – The Current Regulatory Framework’. Seminar jointly organised by the Embassy of the Republic of Indonesia, Singapore and Messrs Wendy Wong Koh & Suparto in June 1995. Topic: ‘The Current Law and Practice on Foreign Investment, Banking & Loan Transactions in Indonesia’.